Teaching is a noble profession and students always remember their teachers no matter what. There is a rare breed of teachers, who not only impart knowledge within the four walls of the classroom, but also on the field. But such teachers are a dying breed. (Read this story) Teachers these days rather give tuition and earn extra money or spend time with their family than be under the sun with no monetary rewards. But these sports teachers will tell you that the experience they gained and special moments on the field are priceless. And one teacher who is close to the hearts of hundreds of thousands of Johannians is Master Vincent Fernandez. Besides being a Physical Education teacher and the sports secretary of the school, he also coached the St. John's Institution hockey team. 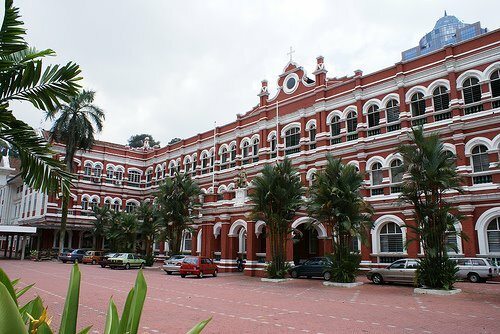 Master Vincent is a true 'green' Johannian, having studied in the school from 1949 to 1957 and returned to the school to start his teaching career in 1963 and retired in 1997. Master Vincent also has been doing sports commentary with Radio 4 (now Traxx FM) since 1963. He started with four minutes of sports roundup between 9.25pm and 9.30pm daily, before a longer time slot was dedicated to sports through Arena Sukan. 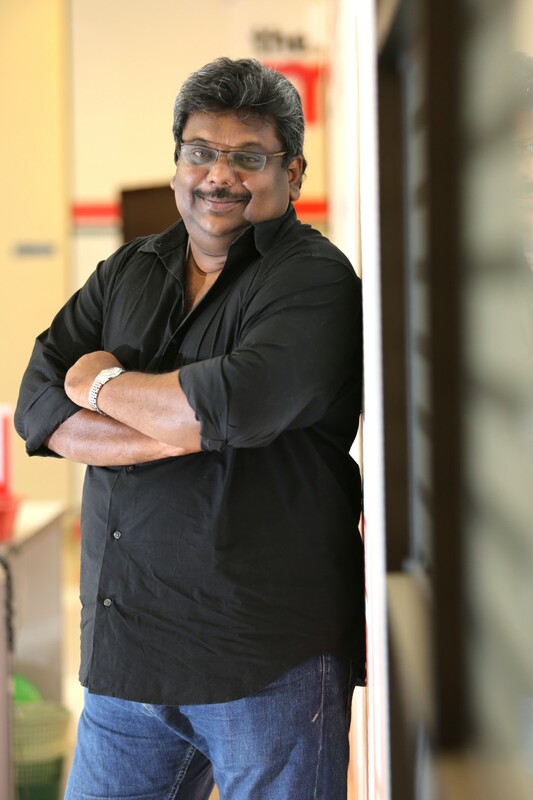 He is also one of the founding members of the Sunday Sports Talk on Traxx FM. The 63-year-old Master Vincent is married to Puan Hajjah Zabedah, a St. John's teacher too (who taught me Bahasa Malaysia when I was in Form Three ), and has three sons and a daughter. Two of the more famous siblings are JJ -- (HITZ FM DJ) and Zabrina (winner of Amazing Race Asia). His two other sons are Mohd Joshua and Nor Zacky. 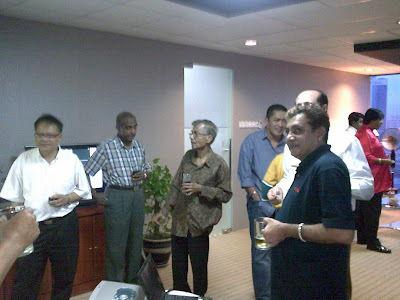 Last night, Datuk Pardip Kumar Kukreja took the initiative to organise a Fellowship and Dinner with Master Vincent at his office in Jalan Ampang. Pardip (eighth from right) was a member of the 1975 victorious hockey team which won the Selangor State Under-18 title for the second consecutive year defeating Royal Military College (RMC). Pardip invited hockey players of 1973 to 1976 and students who were closely associated with Master Vincent (left). I was not a hockey player, but a soccer player with the U-18 team in 1975 which won the Selangor Schools title too (coached by another rare breed of teacher, Mr Kirubakaran Rokk) and Pardip invited me to join them on this special occasion. Master Vincent was my form teacher in Form Three, taught me English and PE and was the PE teacher for the next two years. And I continued to see Master Vincent all these years through our work as we covered many sporting events together. That was the first thing everyone noticed when they walked into Pardip's office and commented that he was "still going to school every morning when he comes to office." When Master Vincent walked into the room, there were hugs and firm handshakes for the "Sir". Pardip even had a slide presentation prepared with photographs of the hockey teams, players in action and the famous class photographs. Then it was time for catching up as Master Vincent moved around the room meeting every individual. A sumptuous dinner was also served and as we tucked in, we continued to catch up . Master Vincent was asked to address those gathered and as he spoke, it was all ears like obedient students! Master Vincent was very touched by the gesture but the pleasure was all ours for having had a great teacher like him, in the classroom and on the field. "Seeing all of you here and having successfully made a career for yourselves is my proudest moment. You have all touched me deeply," said Master Vincent. But everyone returned the compliment when they said in unison: "You made us what we are today, Sir!" A souvenir was presented to Master Vincent in the form of a scroll by Zahriman Suleiman, a member of the 1974 team. It included a well-remembered quote he used on the Team of 74 -- "If this team does not win the title... I'll burn my hockey stick and give up coaching." Master Vincent was merely expressing his confidence that the team would deliver -- which they did, defeating RMC. It was indeed a nostalgic night for all of us and we all went home promising that this will not be the last. To Master Vincent, we salute you and we are indeed blessed to have crossed your path. Until we meet again soon Master Vincent, thank you for having joined us last night as we went down memory lane. Thank you again Sir! Mini Olympics or Mini-National championship? Critics have questioned the benefits of the Mini-Olympics, while the sports authorities themselves are singing praises over the event. One really has to examine the event without any invested interest to derive on the real benefits of the event. One glaring factor which is staring us in the face is that, not much thought was put into the event before deciding to go with it. What is the difference between the Mini-Olympics and the national championships which each national association organise? Except for the carnival atmosphere of the Games, there is really no difference. Or is there a carnival atmosphere at all? In fact, some of the national championships which are "Open" events, sees foreign participation and it is certainly more competitive than the Mini-Olympics and serves better for our local athletes. With the word Olympics used, one would immediately think that it is an international event. But it is just a local event. Sports officials and coaches have expressed their concern over Mini-Olympics, which they feel does not motivate their athletes to perform. Sports authorities claim that junior athletes get an opportunity to pit against senior athletes, but that happens all the time in training. Maybe, true to the meaning of Olympics, it should have been an international event. At least, invite a few foreign countries to participate like Australia, Japan, Korea and maybe a few selected Asean countries, which will promise some real competition. The Arafura Games organised in Darwin could be a role model where there is foreign participation. In the Arafura Games, which is 18 years old, countries from across the Asia Pacific region compete with the Games focusing attention on emerging athletes, offering them the opportunity to compete in an international arena. It is pointless having local Games and thumping the chest with results from it, because at the end of the day, it is just Kampong Games. We have had enough of producing Jaguh Kampongs. We want to see real champions at the international field and to achieve that, we need to compete against the best or at least, against athletes who are better than us. Surely the RM1.1million spent to organise the Mini-Olympics, could have been put to better use. Let us not organise events for "syiok sendiri" purposes or for the sake of organising an event. Food for thought? Or are we going to go on the defensive mode? I was shocked when a close friend of my mine, Patrick, called me a few hours ago to say that former Barcelona Olympics squad and Kuala Lumpur defender, G. Karthekayan (read here), had passed away earlier in the evening in Langkawi. Patrick, a former working mate of Karthekayan at the Immigration Office and a dear friend to him, was sobbing on the phone and kept repeating he could not believe the news. Initially, Patrick said that Karthekayan had passed away in the car accident. Later, Patrick said that he got information that he had drowned. 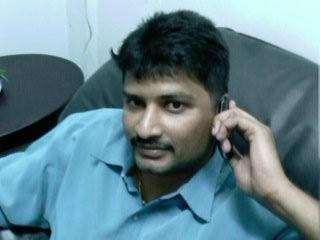 Karthekayan, 40, had gone to Langkawi with his family for holidays. It is said that he was walking along the beach when he decided to walk into the sea as it was low tide. But he got into difficulties when the tide was coming in fast and drowned. The picture of what actually had happened is still sketchy. But whatever happened, it is a tragedy. Karthekayan, who has left the Immigration Office and runs his own business, was a well-liked person. Many referred to him as the Gentle Giant, because of his towering built, but was a kind hearted person. I even remember, how Karthekayan used to ferry an "uncle" - an elderly man who lived in his neighborhood - who was involved in a hit-and-run accident and needed physiotherapy, to Brickfields almost every morning of the week for a good year and half. And that was where I met Karthekayan again after having lost touch with him for sometime. This was about four years ago when I used to go regularly for morning workouts at former Kuala Lumpur physiotherapist, K. Prabaharan's gym. I had known Karthekayan who hails from Pahang, from his playing days with the Barcelona Olympics team in 1991 (Read this story) and then later when he had a brief stint with KL. (Read this story). 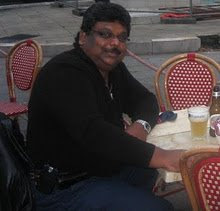 Although I used to occasionally keep in touch with Karthekayan with calls from time to time, the last I saw him him was last month on June 15 - my birthday - when another long-time friend, Guna, organised a small get-together at Bangsar Village's Outback restaurant. It was meant to be a small gathering, but it grew to about 15 people. And Karthekayan was the surprise guest that night. Patrick has brought him along. It was indeed a pleasant surprise and we spoke at lenght and told him that I wanted to meet the "uncle" who he used to bring to Praba's gym, as I had not seen since. Karthekayan, promised me that he will call me and we go together to see the "uncle". "I have not seen the "uncle" for a longtime too. We will go together," Karthekayan had said that night. I called him a few days later to remind him of visiting "uncle" and he told me that he will get back to me. I suppose that will not happen now. I am sure "uncle" will be at his house to pay respect to Karthekayan and will get to meet him afterall, but in a very difficult and sad situation. Goodbye Karthik (as we all call him). You have touched many people in your short time on earth and you will always be remembered. My deepest condolences and sympathy to his wife, Priyadeshini, and his nine-year-old son, Keshin. I know no amount of consoling can replace a person like Karthekayan in their life, but they have to remain strong and make Karthekayan proud. Karthekayan's remains will arrive from Langkawi late this evening (Monday) and brought to his residence. The funeral services will be on 28/07/2009 (Tuesday) starting at 12.30pm at the residence and leave for Cheras Crematorium at 2pm. WHERE IS THE PASSION FOR DEVELOPMENT? Eleven years ago, the FA of Malaysia were dead serious to get development up and going, at the State level - to have competitive and well run local leagues. It was indeed a noble move and if it had been toed to the dot with serious monitoring, Malaysian football would have seen a steady flow of talented players coming through. Then, there was the State Soccer Academies which kicked off, but ran into all sorts of problems, until it finally closed (Read this story). Certainly a major setback for development. FA of Malaysia continued to breathe down the necks of the State FAs (Read this story). to see development take a firm footing in Malaysian soccer. But has it been fruitful? Have the State FAs adhered to all the pressure from the national body? One really has to look at the respective State FA's local league to get some answers. While most State FAs have a league, the question is whether it is run effectively, whether it is competitive and is it a League or just a carnival or knockout tournament? Gone were the days, when the Selangor League was considered the best in the country. It was so difficult to get to play for the clubs in that League, because it was so competitive. I still remember veteran referees Koh Guan Kiat and S. Karthrivel, who used to referee in the Selangor league comment: "It is even more difficult to referee a League match than a Malaysia Cup match. It is in this League that we find ourselves having to make difficult decisions, as the game was very competitive and demanding." "Once we get through the Selangor League "test" it is a breeze at the Malaysia Cup matches," they said. Little wonder then, that referees of those years were competent because they had gone through some tough training at the grass root level. These days, referees became national or even FIFA referees, with hardly much exposure. Thus, the local League has two very important areas that it addresses - grooming players and referees - besides producing coaches, officials and administrators. The top Division in the Selangor league these days has ten teams and they are divided into two groups to play a one round league - four matches per team - before they move to knockout stages of quarterfinals. The top two teams play seven matches in the League! Is that a League? At least, neighbours Kuala Lumpur, have 20 teams in their Premier Division where the teams divided into two Groups, to play a one round League. But do not ask me about the quality of the League. Go see for yourself - Turun Padang! Maybe the State FAs should take a queue from the social footballers in the Klang Valley where they organise the own League - The Social League, Kuala Lumpur. The League was started back in 1994 and is still running, getting better with each passing year. What started with eight founding teams, it has now grown to 24 teams and over 600 players players play in the League. They play every weekend in up to 12 venues ( who says you cannot get a pitch in the Klang Valley) and the home teams are responsible for the booking of the field. There is hardly any case of match postponements or teams failing to turn up for matches. Some of the State FAs might be put to shame by these websites. When a group of veterans can organise and a league effectively, one wonders what is the problem with State FAs who not only financially much stronger than this veteran organisation, but also have the strong backing of the FA of Malaysia. I suppose, the answer has got something to do with - PASSION! S tate FAs and soccer officials get upset and send nasty messages with vulgarities when issues are raised and the truth is written by sportswriters, but at least these group of writers have the - PASSION! We do not have any no hidden agendas, just pure - PASSION! So let us see some real PASSION! among soccer officials, rather back bite each other in their race to attain high posts in the organisation and achieving their personal agendas. There's career in soccer afterall! There is a silver lining after all for ex-footballers in Malaysia. While there have been many stories of how footballers end up jobless or have to take low income jobs, just to make ends meet, there are also many success stories. While many ex-footballers have gone to become businessmen and Datuks, there is a career in the game itself - coaching. I was pleasantly surprised when I went to the FA of Malaysia headquarters in Kelana Jaya last week, and walked into the Youth Department. As I walked in, I got greetings from every corner of the room and there I saw so many ex-footballers - all of whom I had written about when I was with The Malay Mail. "Is there a football match on this evening," I asked the players as they burst out laughing. They were coaches with the Coaches' Division in the national body. It was indeed heart warming to see so many of these ex-footballers still involved in the game and imparting their experience and knowledge of the game, to the young footballers of the nation. Heading the list of ex-footballers who are under the FA of Malaysia coaching staff is national coach, K. Rajagobal (above), his assistant Tan Cheng Hoe and goalkeeper coach, Mohd Faozi Mukhlas. The 2nd floor of the FA of Malaysia, is where some of the coaches have their offices while it is also the place for them from time to time to congregate. And there are many ex-footballers who are also coaching in the Malaysian League. 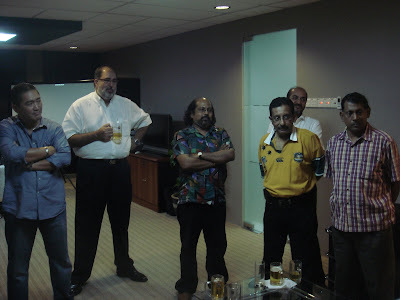 Azrrai Khor (Kedah), Wan Jamak (Negri Sembilan), Ramlan Rashid (Johor FC), K. Devan (right), P. Maniam (Selangor), M. Velu (Penang), M. Karathu (Perak), Khan Hung Meng (My Team), Dollah Salleh (Pahang - left)), Zainal Abidin Hassan (Pahang Port - right below Devan)), Abdul Jalil Ramli (Police), Mat Zan Mat Aris (KL Plus), Wahid Uji (Sarawak), Nasir Yusof (Johor - below), Yunus Alif (Proton), E. Elavarasan (Felda), G. Selvamohan (Malacca), Abdul Rahman Ibrahim (PKNS), Razip Ismail (KL), Che Ku Marzuki (T-Team). There are also many ex-footballers who are assistant coaches with the State teams while others are handling the youth teams. We also have some who are Directors of Coaching in their respective States. It is also encouraging fact that many of these coaches are young and are considered the 'new breed' of coaches. So, there is light at the end of the tunnel after all for ex-footballers, as long as they are prepared to work for their badges. Many FAs are already encouraging players to take up coaching courses while they are playing and this is indeed a positive step. FA of Malaysia take ZIFA to task? THE Football Association of Malaysia last night accused the Zimbabwe Football Association of lacking respect and questionable integrity after it was duped into believing Monomotapa were the Zimbabwe national team. Monomotapa arrived in Malaysia last Saturday and played two “international” friendly matches with the hosts. Malaysia, ranked 157th in the world, won the first friendly 4-0 on Sunday, followed up with a 1-0 victory on Tuesday. As our exclusive pictures show, Malaysian television, the FA of Malaysia (FAM) and newspapers all thought Rodwell Dhlakama’s men were the national team based on ZIFA letters CONFIRMING just that. Confronted by Malaysian journalists, FAM general secretary Datuk Azzudin Ahmad said: “Look at this letter and tell me what you understand from it. It states clearly they are sending their national side. That letter was signed by ZIFA CEO Henrietta Rushwaya who told New Zimbabwe.com on Wednesday that she was on leave when the trip was arranged. “Somebody could have written that letter from my office. It could be possible my office cleared them. We cannot rule that out,” Rushwaya said. Keeping up the deception, Monomotapa used the national team strip in the two friendly matches. On the FAM website, the matches continue to be described as “against Zimbabwe” and there is no reference to Monomotapa. Monomotapa also face action from the Premier Soccer League (PSL) after they failed to turn up for their league match against Highway on Sunday. PSL secretary general Kennedy Ndebele said: “If a club wants to tour, they write to us, and we apply on their behalf to ZIFA. ZIFA also gets clearance from the Sports and Recreation Commission. “They are then given a head of delegation, usually a member of the ZIFA assembly. I don’t know who their head of delegation was. I can confirm, however, that we got notice from them late on Friday, and it was too late to cancel their match. Monomotapa treasurer Bhekithemba Ndlovu, returning from Malaysia, said they had been invited by ZIFA to go on the trip which would aid their preparations for Sunday’s Champions League clash with Etoile du Sahel. He defended their use of the national team strip, claiming they were “representing the country”. He said: “We acknowledged that this was no ordinary friendly match in which a club was playing a national team ... We then took it upon ourselves that we could use the national colours. "When we go out of the country for the Champions League, the fans who come to watch our matches and cheer us are not the usual Monomotapa fans . . . they will be waving the Zimbabwean flag and will be dressed in national colours because they appreciate the fact that we will be representing the country. The yellow and green strip was a replica kit purchased from a Harare sports shop, he said. ZIFA were sucked into an international football scandal on Monday after it emerged they may have conspired to pass Monomotapa as the Zimbabwe national team for international friendly matches with Malaysia. Monomotapa failed to pitch up for a league match with Highway on Saturday after they left Zimbabwe without approval from the Premier Soccer League (PSL). Malaysia were scheduled to play Liberia in two international A-friendly matches but the FA of Malaysia (FAM) called off the games because the Liberians were not bringing their first team. An invitation was then extended to ZIFA who sent Monomotapa, with the FAM reportedly picking up the bill. Monomotapa were hammered 4-0 by the Malaysians in the first friendly on Sunday. They play again on Tuesday. Malay Mail sports journalist Haresh Deol told New Zimbabwe.com: “We in Malaysia are said to be hosting the Zimbabwe national team for an international friendly match recognised by FIFA. “When I asked coach Rodwell [Dhlakama] yesterday about the line up being Monomotapa United or the Zimbabwe national team, he insisted it was the Zimbabwe national team and not the club side. “Based on the team list we have, all 18 players are that of Monomotapa including their latest signing Tendai Gwata. PSL secretary general Kennedy Ndebele said Monomotapa’s trip was not sanctioned. ZIFA CEO Henrietta Rushwaya said she was on leave until Thursday and could not comment on Monomotapa’s trip. But a ZIFA source said: “In light of Monomotapa’s forthcoming Champions League engagements, we thought the Malaysia friendlies would benefit them. The ZIFA official insisted the Malaysian FA had been made aware that they were playing the Zimbabwean champions and not the national team. Malaysian sports journalists image tarnished! 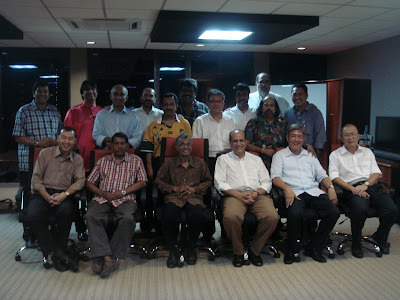 My biggest concern for the image of Malaysian sportswriters fraternity, has become a reality. took to task the Malaysian sportswriters who covered the MU matches against Malaysia. It is indeed an embarrassment for sportswriters to be judged poorly by a foreign journalist. 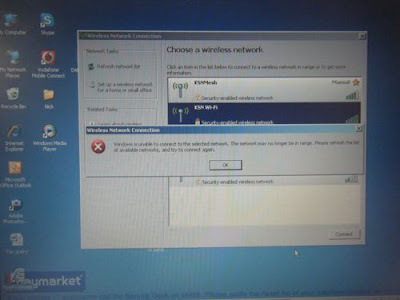 Coppack, also did not have nice things to say about the internet connection at the Media Box. But I am more concerned of the image of the Malaysian sportswriters which has been tarnished. "I swear I'll have nightmares for months about this error message. Nothing I tried seemed to help." It all happened on Saturday during the first match at the Bukit Jalil Stadium. Dan Guen Chin, a veteran sportswriter for 30 years, and I were seated in the Press Box way before the match started and what we witnessed, embarrassed us. We had both hoped that it will not be reported by the British media, who had come in droves to cover the event. We do not know how many other Press in England would have commented on the Malaysian Press Box, but the one I picked up, is enough for millions of MU fans to have viewed it. To be fair to the sportswriters who covered the match, not all of them are guilty. But the actions of a handful was enough to tarnish the image of all the sportswriters in Malaysia. To be honest, I see no harm in coming to the Press Box wearing the national jersey. 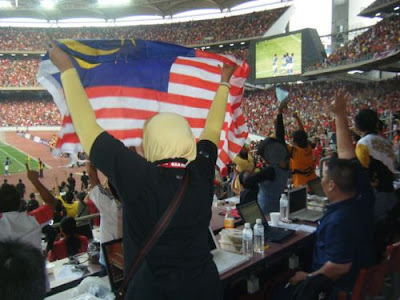 But to be jumping up and down and running the length and breath of the Press Box when Malaysia scored, was indeed unbecoming of a journalist. To make matters worse, one writer was even seen showing the middle finger to the MU fans and screaming on top of his voice. His emotions were running wild and later at the Press Conference, he continued to behave like a fan. He was even ticked off by a senior English sportswriter, when he screamed in Press Conference as national coach, K. Rajagobal, was leaving the room. The English journalist told him: "Let us have some security here. Stop jumping up and down and standing on the chair. And do not scream. My colleague (and elderly sportswriter seated beside this Malaysian fan-sportswriter) might have a heart attack." There was laughter from journalists who were seated around this area of the incident, but the annoyed journalist interjected and said: "This is no laughing matter. I am serious and let us have some order in this room." At this point, Dan who was in the room, could not take the humiliation, walked out of the room only to return later for Sir Alex Ferguson's Press Conference. Yes, we all support the Malaysian team, but as journalist we have been trained to keep our emotions inside, as we have to be impartial in our reporting. But then again, I cannot entirely blame these young sportswriters, who are seen to be a fan first and journalist second. These days, rookie reporters get thrown in to cover the M-League, Malaysia Cup matches and even the national team. Those days, we had to earn it before we got to cover any of these matches. It was normal for rookie reporters to cover club and schools beat for at least anything between two to four years, before they get the high profile beats. Even then, we had our Sports Editors and sometimes the Editor of the newspaper - the likes of the late Mansoor Rahman, Chua Huck Seng, Maurice Khoo, the late Francis Emmanuel, K.C. Boey and Tony Francis to name a few, coming for the matches and sitting in the Press Box to observing us at work. Any pranks or show of emotion will see us getting ticked off immediately and going through the cleaners the next day at the office. Yes, we occasionally applaud a good move, a safe or goal - but that's it. No running around the Press Box, screaming on top of the voices or being nuisance to other working journalists. It took me almost 24 years to earn myself a column. We used to write columns, but under a the newspaper's column, which was meant for all of us on the desk. Even then, I had to wait for at least ten years, before I got to write in this pool column. These days, rookies get columns and with a photo byline within a year or two. It is clear that reporters these days do not get the proper foundation, which includes ragging from the seniors. Even national players those days used to give rookie reporters a hard time because the likes of the late Mokhtar Dahari, Santokh Singh, Datuk Soh Chin, Reduan Abdullah, Datuk M. Chandran, trhe late R. Arumgam to name a few, all had character. That itself was a learning process. These days, young reporters claim themselves authorities in sports and strut around like 'superstar' journalists and they claim to be experts in their field overnight. Let me not start on the etiquette of sportswriters these days. It would be washing dirty linen in public. Many of the present sportswriters consider us as "old horses", but we are still worth our salt and the experience we have gained working with some of the best sportswriters in the country, cannot see anyone of these guys hold a candle beside us. I am not trying to brag, be arrogant or self praise ourselves, but when we see what is happening around us, we cannot stomach it. I, for one have to say my piece because I hold the profession in high esteem and will not stand around watch it being dragged through mud. I know, I am going to get brickbats for saying what I have said, but at least I have off-loaded what was eating me inside. And if anyone has anything to say, I welcome the comments, but please be man enough to identify yourself and not hide behind anonymous tags. Here's hoping some pride will be restored for sportswriters in the near future. I could not believe my eyes when the Manchester United reserve players were warming behind the goal-line of the Malaysian team, each time before a substitution was made during the secondhalf of the match. There were at least three occasions when this happened, and each time which lasted anything between two to five minutes, there were at least three to four players running up and down the goal line. These players were not only distracting the Malaysian goalkeeper Mohamad Farizal Marlias, but also the hordes of cameramen. While on the other end, the Malaysian reserves were warming up behind the A-boards on the track - the designated place to warm-up. My question is: What did referee, 38-year-old, ROSDI SHAHARUL, who has attained FIFA status since 2004, 1st Assistant Referee, IDZHA SALIM, also FIFA status since 2005, Fourth Official, AZMAN ISMAIL, a FIFA assistant referee since last year, Match Commissioner, TUAN HJ AHMAD FUAD DAUD and referee assessor, TUAN HJ KAMARUDDIN SAKHARI, do about it. There was no effort by any of these officials to address the situation. Was there double standards practiced here? Or is it that they felt that Manchester United were the untouchables? Or was it the Colonial Masters Mentality which over-powered them in their call for decisions, just because they were dealing with Mat Sallehs ? Yes, it was a friendly match, but an International Friendly Match officiated by FIFA recognised officials. I have seen referees in the local league stop the game to ask the players to warm-up far away from the goal-line. So what happened? Maybe the FA of Malaysia's Referees' Department would like to shed some light? On the other hand, a chief field-marshal at the match was since looking very important to usher a journalist who had a photographer's ID, out of the Stadium. Yes, the journalist had no business to be on the field, but who issued him the Photographer's ID, which allowed him to go on the pitch. Yes, the onus was on the journalist to have pointed out the mistake and taken the right journalist ID. But the official who was creating ruckus with the Police called in, did not even know that the ID cards were surrender to FAM official at the Media Box, in exchange for a special bip which allows the photographers onto the field area. This official kept demanding the journalist for the ID, and when latter told him that the ID was exchanged for bip and it was with officials at the Media Box, former called him a fraud. Maybe this journalist who is a die hard MU fan and a rookie at journalism, just got carried away with the MU euphoria and mania, but surely there must have been a better way to handle the situation. I certainly saw many others on the field, who were not supposed to be there. How come this journalist singled out. I am certainly not taking sides here, but just wondering, why the same kind enthusiasm, authority and high handedness, was not used against the MU reserve players, who had clearly violated the rules of the game. What was a highly anticipated and excited weekend, started on a high note for my 21-year-old son. He had his moments and was even more thrilled when I allowed him to write his thoughts in my blog. All this is part of the excitement of growing up, a learning curve and in moulding his character. But what would have been a perfect outing for him was marred by some comments on him in this blog. I would not have minded any comments on me, because all my life I have had come across people who say nasty things but are not man enough to own up for their remarks. In any case, I have come to a point not to pay any attention to these remarks because I know I have always worked with full honesty, commitment and dedication. And I have no qualms at all to post the comment from this guy who had no guts to put his name to his comment or even confront me personally. I am not going to justify my reason for applying for the pass because it is pointless and will make no sense to rookies who were not even born or were still running around in the diapers when I started writing for the papers. But it has affected my son badly, because he is an innocent victim of a vicious circle, who really are the ones who do not have any morals. Thus, to get off his chest which has been bothering him the last few days, I have asked him to express his thoughts here yet again. This piece is also to conclude his writing on MU - which is his favourite team - but still wears the Malaysian jersey to the Stadium and cheers them. A treat for those who could not catch MU the first time, they played again last night. It was not a full house this time around, but it was still a pretty decent crowd. This time around, the stadium was again laded in red. Nevertheless, the fans cheered for Malaysia after their good performance on Saturday. Amri Yahyah received a hero's welcome when his name was announced among the starting XI. Malaysia conceded two early goals in the first half and seemed like they just did not have the fight in them. They just did not turn up in the first half. In the second half however, coach Rajagobal, ran the changes and the team looked more composed on the ball. It is still quite clear that he has not discovered his best eleven. Unlike the first game, where Malaysia could pass around the ball, yesterday they were left short for options and kept playing long balls. Those long hit and hopes are never going to work against MU. Their defenders tower over our strikers. What was the difference between the two games? Well for starters, in the first game Berbatov and Rooney started up front. The two of them like to roam around and look for space. They will pick up the ball from deep and run with it while looking for runs of the other players. This meant that our defenders could move the ball around and not rush things because they would not be pressured by the strikers. Last night however, Owen and Macheda started among the XI. Both of them like to play on the shoulder of the last defender. Our defenders were hurried into making their passes and sent long balls by-passing our midfield, straight to our strikers who never stood a chance of winning any of them. Eventually, Owen and Macheda were subbed, and that's when we looked like a better team. In the last twenty minutes, we created a host of chances but could not finish. The condition of the pitch did not help either. By the end of the game it looked like the pitch had almost been completely dug out. Its quite sad that our National Stadium does not even have a proper pitch. It's a good thing that Sir Alex just mentioned it jokingly. When Brazil were here in 2002 they lambasted our pitch. Haven't we learnt our lesson? Thank God the MU boys were more forgiving. I guess they must have enjoyed their time here. Well I know, I certainly did. Before I conclude I just want to address one little niggling issue. I appreciate all comments for any of my pieces. What ever does not kill you, only makes you stronger, right? Well I have been accused of misusing Uncle Dan's pass. First this nonconstructive critic prefers to remain anonymous. Its quite obvious that it is someone from the journo fraternity. Well here's the cerita. I had passes to go and meet the MU players. The room in which I was supposed to be in, was right next to the press conference hall. The press conference was at 2.30 and the meet-and-greet session started at the same time. I was early, so I dropped by the press conference hall, where nothing was going on, to say hello to some familiar faces. I had uncle Dan's pass on because, he was supposed arrive from Johor for the press conference. My dad had done him a favour to collect the pass a day before from the FA of Malaysia office, which he had applied as a Bernama journalist. My dad asked me to pass it on to uncle Dan, as he was already in the Press Conference Room and did not want to come out in the midst of the conference on goings. Since I was outside the Press Conference Hall, it was only convenient for me to pass it to uncle Dan. The pass does not really fit snugly into any one of my pockets, hence I put it one so that I would not bend it. I soon made my way out of the press conference room to line up for meet-and-greet session. Let me just tell you that even if you had a press pass you would not have got into the meet-and-greet session. So I can understand your jealousy. Honestly, I understand you must be DEVastated at the fact that you had to do your job and could not live out your childhood dream and meet your favourite players, but if you MAN up, I will be a PAL and give a signed souvenir. Cheers man! PS:FAM gives passes to bloggers simply because they cover local sports more than print media! National soccer coach, K. Rajagobal, is one who always has his head in place and feet firm on the ground. Despite two commendable performances and respectable scorelines in their losses to Manchester United (3-2 in the first match on Saturday and 2-0 last night), he was not about to gloat over it. Even with some quarters even predicting a Sea Games gold in Laos at the end of the year, Rajagobal was not about to join in the bandwagon to sign praises. Having been involved in Malaysian soccer all his life, the 52-year-old coach, only knows too well not to jump in joy over a couple of reasonably good performances. Besides, he also know that all the heaps of praises which has been coming his way the last three days, could well all turn out to be his nightmare, as the same people who have been singing the praises, could well be the very ones who will be the first to criticize him. It is not that Rajagobal is running away from his responsibilities or is playing safe, but he is merely calling the spade a spade. Make no mistake. It is not that he has no confidence with his team. In fact, he has tremendous faith in his team. All he is asking is for time for the team to mature. "It is without doubt that the team did well in the two matches against MU. We lost with respectable scores and above all, the team show tremendous fighting qualities and gave everything they had," said Rajagobal the former national right winger who had capped 15 times for the nation. "But we cannot get carried away with two performances. It is just the beginning. What I want is consistency and to get better with each match. 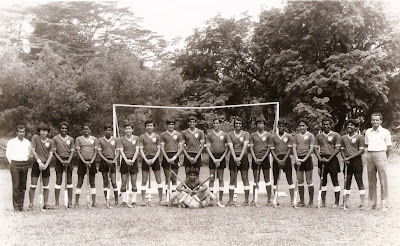 There were still many areas of weakness in the team," added Rajagobal who featured for the Selangor team from 1979 to 1984 and the national team from 1980 to 1982. "One glaring flaw in the team is our finishing. Although Amir Yahya had did well in the first match against MU to score two goals, there were many opportunities which went a begging from our strikers. Our defence too needs some tightening up. "And that clinical finishing and character only can come from experience. That is why it is important that the team continue to play more top quality matches," said who made his debut coaching the national team as the assistant coach to Ken Worden at the 1993 Merdeka tournament. Last night's performance may have been a little below par as compared to Saturday's. But three key factors could have be contributing factors. Firstly, Malaysia was not expected to play the second match and Rajagobal, surely must have had a tough time re-motivating the players. Secondly, to play two highly competitive matches in three days, was certainly taxing on the players. Thirdly, utmost on the players' minds would have been their League matches which resumed day - where they earn their bread butter. All things considered, the players still should be given a pat on the back. NOVELTY HAS WORN OFF......Notice the empty seats where only about 35,000 fans turned up last night as compared to 80,000, for the first match on Saturday. MU's Sir Alex Ferguson echoed Rajagobal's sentiment of the Malaysian team when he said: "This team certainly has more speed and enthusiasm from the previous team we met. "But the team needs to improve on their finishing. They failed to finish off many opportunities they created," said Ferguson. "They need more time and exposure. They certainly have the potential." Rajagobal added that he will continue to lookout to strengthen his team, for he believes that there are players out there who couldearn national call-ups. "But I have the core of the team right now and will be on the lookout for a few more players to strengthen the weak areas, " said Rajagobal. Rajagobal said that his immediate target is the Laos Sea Games. "Our first target in the Sea Games will be to make the second round. Then, we will take from there because it is knockout stages from then on. Anything can happen in this round. Besides, we cannot overnight write off teams like Thailand, Vietnam and Indonesia, who will certainly start as favourites. We will aslo have to look at the draw and see who are the teams placed in our Group," said Rajagobal. "Afterall, we last won the Sea Games in 1989 in Kuala Lumpur - 20 years ago. We cannot change things instantly. I took the team only a few months ago. But I have many players who have worked with me for sometime now. That is certainly an added advantage. But still time is the essence. "I certainly can do with more quality time with the team. But the players have their committment with their teams in the M-League. "I will certainly be calling them up for training at every opportunity I get and also to play quality matches." 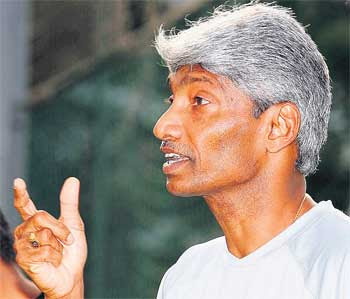 Rajagobal pleaded to administratrors, fans and critics alike, to give his team for the time to grow. 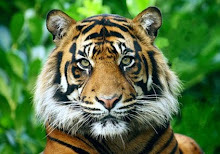 "Remember it took at least two years for the Harimau Muda to mature and play they way they are now. We have to learn to walk, before we can run. There is plenty of room for them to grow." Indeed, everything needs time, patience, dedicated work, discipline and the right spirit and support from all quarters, for it to mature. One cannot expect to start today, and expect results yesterday! Good work Rajagobal, but continue to keep your feet firmly imbedded on the ground, for you know best! K. Kanagaraja was elated that it was a Selangorian who broke his record of having been the only Malaysian player to have scored against Manchester United in their last four visits here since 1981. Kana, as he is affectionately, scored that goal when he was turning out for the Selangor Selection team in 1981 when the MU team played three matches in Malaysia - two in Sabah and one in Kuala Lumpur. The speedy right-winger in his heydays scored the goal after MU were leading 3-0. MU won the game 4-1. Kana whom I tracked down yesterday morning to the Sri Johor ground in Cheras (thanks to a former Malay Mail player from Cheras too - MG), was doing what he been doing when I last reported on him in 1991 (read this) - coaching young kids from the area together with his local teammates from the Pemuda Cheras team. When he spotted me at the field, he immediately greeted me and asked what I was doing there on a Sunday morning. When I told him that I had tracked him to talk to him about the MU goal, he was elated. "I was not at the game. These days, I go to bed early and the thought of having to find my way there in the jammed situation just saw me watch the television. Besides, I had to fetch my ten-year-old daughter from tuition that evening," said the 52-year Kana. "I also did not have a ticket for the match," said Kana who is a Human Resource executive with a construction company. "But I am honoured that Amri Yahya was a Selangorian who broke my record. He did very well, for he not only scored a brilliant first goal, but scored a second and against two top class goalkeepers. I am really very happy for Amri and proud as a Selangorian. Kana is a thorough bred-Selangorian because there were three occasions when former Kuala Lumpur mayor, Tan Sri Elyas Omar, asked him to play for Federal Territory, he politely told the God Father of KL football that he was a die hard Selangorian, he would not think of playing for another team. "In fact, two other States were trying to lure me then, but I told them the same thing," said Kana who last played for Selangor in 1987. He started off with Selangor as a Razak Cup player in 1975 and made his debut with the senior team in 1978. He played in the Asian Youth championship in 1977. At national level, he played for the National B team and has only four international caps with the senior team. When asked him about the goal he scored against MU, he recalled: "It was a goalmouth melee and the ball landed at my feet. But I had Scottish international and World Cup defender, Arthur Albiston in front of me. I managed to get past him and slot it past towering Gary Bailey. "It was a fantastic feeling although we lost the game. At the end of the game, I exchanged jerseys with Arthur. But Rajagobal (current national coach) who had exchanged his jersey with Steve Coppel who was wearing the Number 7 jersey, exchanged it with me because I was wearing the No 7 too for Selangor." Steve Coppel scored two goals in that game, with the other two coming from Joe Jordan and Garry Birtles. 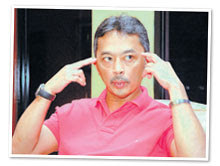 He has runners-up Malaysia Cup medals from 1980 and 1983. 1984 is a very memorable year for Kana as Selangor were treble champions - Charity Shield, League and Malaysia Cup. And it was indeed a welcoming sight to see Kana yesterday still coaching the young kids from the Cheras area after all these years. "There was a short break in 2005, when the 3rd mile JKR field was taken away for development. We then managed to get this present ground and have been conducting clinics for about 180 boys with ages ranging from five to 19 and from all races. "It costs about at least RM150 to RM 300 per session, as we buy drinks, serve light breakfast and sometimes give bus fare to those players who come from outside Cheras. The money is from the players of Pemuda Cheras and well wishers," said Kana who holds a "C" Coaching Licence. "The jerseys were sponsored by a friend's company Vyran Holdings. We bought the balls, cones and bips from our collection for this programme," said Kana who conducts the clinic every Sunday from 8am to 10am together with his friends. Last year, Deputy Federal Territory Minister, Datuk V. Saravanan - a product of Cheras - had helped Pemuda Cheras financially to organise a Deepavali soccer for the children. "We certainly can do more if more well-wishers come forward to assist us," said Kana who does not charge a single sen for the players who attend his coaching clinic. "The boys from this area are generally poor and it will be burden on them even if charge them RM10. Cheras is noted for having produced many talented players who have done State or national colours," said Kana who was among the pioneers to put Cheras on the map. Two players before him who came from Cheras include goalkeeper Lim Fung Kee and Mokhtar Ahmad. Others players who have donned Selangor, KL or national colours, include S. Thanaskodi, M. Pavalamani, the late K. Ravindran, A Jayakanthan, Azman Adnan, S. Tamilarasan, V. Gunalan, S. Mathen, Mohd Satar Aziz, K. Murugapillai and K. Kanagasabai. "We want to keep this proud tradition of Cheras being a hub for producing top players." Indeed a noble contribution and probably Kana and Pemuda Cheras, who now play in the Kuala Lumpur FA Div 1 League, can do a great deal more for the development of soccer, if a helping hand is given. Indeed, Kana has done Cheras and the nation proud in his small way. We salute you Kana! I owe an apology to the Malaysian Manchester United fans. I have no qualms in doing so, because they have done Malaysia proud. In my blog yesterday, titled Embarrassed! I questioned the loyalty of the MU fans at the training session. I had expressed my shock and disappointment when they jeered the Malaysian team in training yesterday. I had pleaded for some Malaysian support this evening. Yes, the National Stadium at Bukit Jalil this evening was a sea of red, with 80,000 fans packing it. I had imagined the worst for national coach K. Rajagobal and his team. But the MU fans pleasantly shocked me when they cheered for both teams. However, the loudest was reserved for the Malaysian team in blue, when Mohd Amri Yahya scored minutes before halftime, and pulled level soon after the resumption of the second half. Amri, who returned to the national team after a three year hiatus, at 27-year-old, not only had the honour of being the second Malaysian to have scored against MU (the first was K. Kanagarajah in 1981 when the Selangor Selection lost 4-1 to MU), but he went one up on Kanagarajah, not only because he scored two goals, but scored against two MU custodians. The first goal with Edwin Van Der Sar in goal, with a cheeky lob over him from about 40 metres, and the second, against Ben Foster, when he went around him to score the equaliser. Rajagobal's boys may have lost to a Michael Owen debut goal in the dying minutes, but they walked out of the pitch as men and with their heads held high to the thunderous roar from the Red Devil fans. I salute all the Red Devil fans, because they proved that they could have flooded the Stadium with their red jerseys, but at the end of the evening, they were all Malaysian at heart first! And the fact that even the Raja Muda of Perlis, Tuanku Syed Faizuddin Putra Jamalullail who together with the Raja Muda of Perlis, Tengku Muhammad Ismail, met the Malaysian and MU players before the start of the match, wore the MU jacket, the red shirted Malaysians can be excused. Kudos to all the 80,000 fans and of course Rajagobal and his men. The stadium today was packed! REALLY REALLY PACKED! About 80,000 people! The atmosphere was electrifying! One problem though. Everyone was wearing the wrong colour. As promised I arrived in my blue Harimau jersey and took a seat in the crowd. I felt like a foreigner in my own country! The stadium was painted red. MU jerseys, flags, caps, scarfs! You name it, they had it. No wonder MU are so loaded! You would not have guessed that Malaysia was the home team. In 2006, I went to Germany for the World Cup (courtesy of a very loving father) and I watched a couple of matches including the final. Every time I sat in the stadium for a game, it was packed! The fans were singing all throughout the game (maybe because they sell beer there!). I always wished that it would be the same in Malaysia. I don't mean the availability of booze (which would be nice too) but the chance of watching a game on home soil with that atmosphere. Here's something money can't buy! Today my wish almost came true! Our Tigers came out with a roar! Although we conceded two early goals and managed to catch MU's very own circus clown NANI, do a few flips, I still believed in my team! Seriously! My friend (who hails from Ampang) next to me, turned to me after MU's second goal and said 'Bro, What's happened to YOUR team?'. My friend is currently back on holidays from Chicago where he is studying. NOTICE THE USE OF THE WORDS "your team". I couldn't help but to wonder whether everyone in that stadium, thought that way. I have this theory which I mentioned yesterday, no matter how badly our harimau kalah, you will still sokong them deep down inside. Well my theory was proven right, when Amri Yahyah chipped over a very very tall Van Der Sar for Malaysia's first goal. At the start of the second half, Amri Yahyah rounds MU's future NO 1 goalie, Foster, to score the equaliser. Well the result, everyone in that stadium jumping out of their seats and screaming at the top of their voices. I bet you at that very moment they all wished that they also wore their HARIMAU JERSEYS! By the way my kawan from Chicago tu, that called Malaysia 'your team', well, he jumped, yelled a lot louder than me! Moral of the story is, my dear Malaysians, jangan bagaikan kacang lupakan kulit. At the beginning of the match, everyone jeered our team! At the end, BANGGA pulak bila Malaysia tunjuk belang when they passed the ball around the tired MU stars. Although Owen decided to open his account here in KL, a 3-2 loss to MU, is still a really good result. I bet no one expected that. The odds for the game today was a four goal head start for Malaysia. After the game, the most common thing I heard from groups of fans chatting outside the stadium was this "MU were awesome la, but Malaysia also not bad!'' Mind you, these were probably the same people that booed. I'm really glad that the Harimau proved them wrong and I believe, based on today's performance, they deserved to be called HARIMAU!! Lets hope we continue to roar on Monday! So guys and gals, there is nothing wrong about supporting a foreign team, but remember which team comes first. SO PAKAI YOUR JERSI HARIMAU ON MONDAY! PS:Neither FAM or Nike are giving me any commission for every jersey sold. This afternoon will be the fourth time I will be watching Manchester United play in Malaysia. My debut witnessing was when they came to our shores for the second time in 1981. I was still a stringer with The Malay Mail, and managed to do three side-stories, with seniors Ooi Kok Chuen and Joe Carlos, covering the visit. Below are the three articles I did. Ironically, it was the only articles I did on MU despite me being a full-fledged Malay Mail sports journalist from the end of November 1981. The 1995 visit saw Johnson Fernandez covering the visit, the 2001 with Rizal Hashim and Fariq Rahman. The 1995 visit which saw MU brought to our shores by Glomoir World of Sports, even saw the players visit the Balai Berita, arrangement of Glamoir World Of Sports boss, Datuk Abdullah Hishan. That year was the New Straits Times' 150th anniversary celebrations. The MU entourage to the NST was led by then club chairman, Martin Edwards. Among the star players present were captain Steve Bruce, Peter Schmeichel, Dennis Irwin, Paul Parket, Gary Pallister, Roy Keane and Lee Sharpe. Tickets for the matches in 1995 at the Shah Alam Stadium were priced at RM 20 and RM 30. Current prices on the left. This afternoon, of course no longer with the main stream media, I will only will blog. English at the expense of P.E? On the shelf or shelved?